Ron Codd is currently a Director on the Boards of ServiceNow, FireEye, Veeva Systems, and Rocket Fuel.He previously held Board directorships with DemandTec, Calypso Technology, Data Domain, Interwoven, Adept Technology, Epiphany, Agile Software, Intraware and several other startups. Ron has over 30 years of experience working with high-technology, high growth firms in financial and general management roles. During his seven-year tenure at PeopleSoft, he managed the company’s successful initial public offering in 1992 and oversaw the growth in its annualized revenue run rate from $15 million to $1.5 billion.Ron earned his bachelor’s degree in Accounting at University of California, Berkeley and also earned a Masters in Management with an emphasis in Finance and MIS at Northwestern University – Kellogg Graduate School of Management. Nora was a senior executive at Intuit (the makers of TurboTax, Mint and Quicken).She served as Intuit’s SVP of Big Data, Marketing and Social Design. 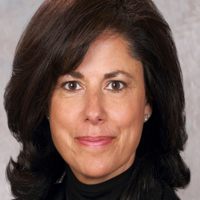 Previously, she held senior executive leadership roles at HP Enterprise (as the SVP of three divisions: Software, Storage, and Consulting & Integration). 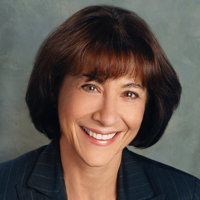 Prior to HP Enterprise, she was the SVP of Product Operations at Legato Software (now part of EMC) and was the director of IBM’s Storage Software Division.Nora earned a bachelor’s degree in Computer Science in the State University of New York, and an MBA from Santa Clara University – Leavey School of Business. Flip has been part of InterWest’s IT team since 1982. With a background in engineering, he has invested in multiple areas of information technology, including semiconductors, computing and networking equipment, and infrastructure and applications software. Flip was a board member of Xilinx(XLNX), a publicly-held company, from 1984 to 2016 and chairman from 2009 through 2015. He is a board member of several privately-held companies, including Microfabrica . 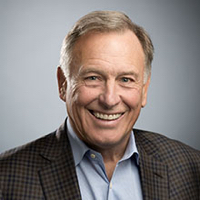 Flip also serves on the advisory board of Storm Ventures II and is a past president of the Western Association of Venture Capitalists. Board Member at IPG Photonics and Lam Research. She serves on the Audit, Compensation and Nomination & Governance Committees.She previously served as a director at SanDisk Corporation, Fairchild Semiconductor Corp.,WJ Communications, Inc. and Uniphase Corp.
She participates on the E&Y Tapestry and KPMG audit committee round tables and is a member of the NACD Audit Committee Advisory Council.Cathy is the principal and founder of Lego Ventures, which was founded in 1992. It supports early stage technology companies with business plan development, obtaining seed and expansion financing, and counsel in the area of strategic growth through mergers or acquisitions. The firm’s clients have included Hybrid Networks, Opcode,Packeteer, Tripod, Dhaani Systems and Network Translations. From 1999 to 2009 Cathy served as the general partner of The Photonics Fund, LLP, a venture capital investment firm focused on early stage investing in component, module and systems companies in the fiber optic telecommunications market.She served as the director of finance and investment analyst at Oak Investment Partners from 1981 to 1984, and as a general partner from 1985 to 1992.Cathy holds a B.A. in Economics and Biology from Williams College and an M.S. in Accounting from the New York University Stern Graduate School of Business. Executive Chairman of the Board of Directors of Equinix, Inc., a global colocation and interconnection company, since April 2007 and he is the current Chairman of the Board’s Governance Committee.Prior to becoming Executive Chairman, Peter served as Equinix’s Chief Executive Officer and as a director from May 2000 and as President from March 2006. Prior to joining Equinix, Peter was employed at UUNET from January 1997 to May 2000 as President of Internet Markets and President of the Americas region.Prior to UUNET, from May 1995 to January 1997, Peter was President of Compuserve Network Services, and before that held various positions at Compuserve from October 1982 to May 1995.Peter currently serves as the lead independent director and as a member of the Audit Committee of Silver Spring Networks Inc., and serves on the Board of the Damon Runyon Cancer Research Foundation. Peter has previously held directorships at Packeteer, Inc., Paradyne Networks, Inc. and Pi-Coral, Inc.Peter earned his bachelor’s degree in accounting from Boston College.